Ubuntu version of Kludget Engine is here. 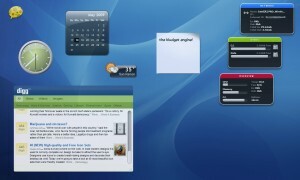 Run those shiny Apple Dashboard Widgets on Linux now. This is built and tested on Jaunty Jackalope (Ubuntu 9.04). The guys from www.minimamente.com were kind enough to contribute this logo for Kludgets.